If you’re reading this there’s a good chance that you’re a criminal. At the risk of generalising, we are a generation of benign thieves. We steal as if there was nothing illegal about it. Hidden behind a desk and a monitor, otherwise law abiding Australians knowingly steal when it comes to streaming our favourite TV shows, or downloading blockbuster films. This year’s report from the Intellectual Property Awareness Foundation revealed that more than 37 per cent of Australians admit to having downloaded material illegally, a staggering figure if you consider that the respondents are admitting to stealing! Not surprisingly, the film and television industries hates us. Last week News Ltd CEO Kim Williams delivered the keynote speech at the Australian International Movie Convention on the Gold Coast, arguing that “the copyright kleptomaniacs of the digital age” are harming levels of product quality and job prospects across the television and film industries. 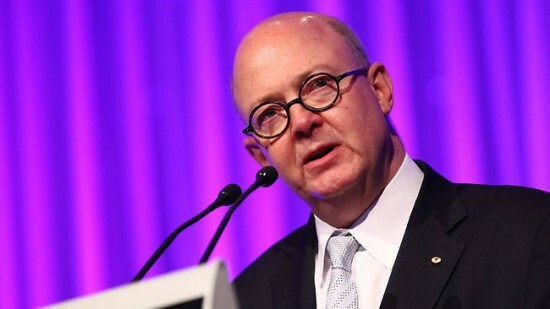 “Right now, on the brink of a new era of digital uptake through the establishment of the NBN is the time to act to strengthen our digital copyright laws and bring them into the digital age,” he said. So are we all immoral entertainment bandits? A generation of “copyright kleptomaniacs” taking advantage of lax legislation? I choose to think not. Generation Y expects immediate gratification, a notion which the television and film industry seem to want to avoid. 37 per cent of Australians admit to having illegally downloaded material…[yet] none of the ten most pirated movies of 2011 were available to rent online. While Mr Williams states that a growing number of companies now offer low cost legal downloadable content, technology writer David Pogue points out that none of the ten most pirated movies of 2011 were available to rent online. In an article published by the Scientific American last Tuesday, Mr Pogue argues that Hollywood is encouraging online piracy by inadequately supporting paid download and streaming rental services, with many classic films such as Star Wars and the Indiana Jones series also inexplicably unavailable online. When the first twenty Google search results for “Saving Private Ryan download” are torrent websites, with no way to instantly purchase and download the film, the ability to quickly circumvent the law becomes more attractive. Television is much the same. Internationally, the industry has failed to keep pace with the digital age and Generation-Y concerns. Given that we can read about new episodes of our favourite shows which have aired in the US months before we get the chance to legally see them in Australia, it makes sense that we are among the most prolific offenders when it comes to the piracy of television content. The film and television industries obviously need to change, and recognise that young consumers want their entertainment now, delivered in the most convenient ways possible. The music and gaming industries recognised this years ago, allowing the offering of successful digital distribution platforms such as iTunes and Steam. While these platforms still compete with illegal downloads, they at least offer a legal and relatively affordable method of purchase, and delegitimise arguments supporting piracy. We want to give you our money. We want to pay for good content. But we want it now. No doubt we’ve all seen that ‘gritty’ heavy handed advertisement where illegally downloading films is equated to pinching handbags and lifting televisions through broken windows. Bombastically, the advertisement assumes that I wouldn’t steal a car. And they’re probably right. I probably wouldn’t steal a car. But if I can’t legally buy that car, I might just have to download it.